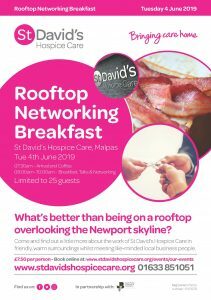 St David’s Hospice Care in partnership with South Wales Chamber of Commerce would like to invite you to a Rooftop Networking Breakfast on 4th June 2019. 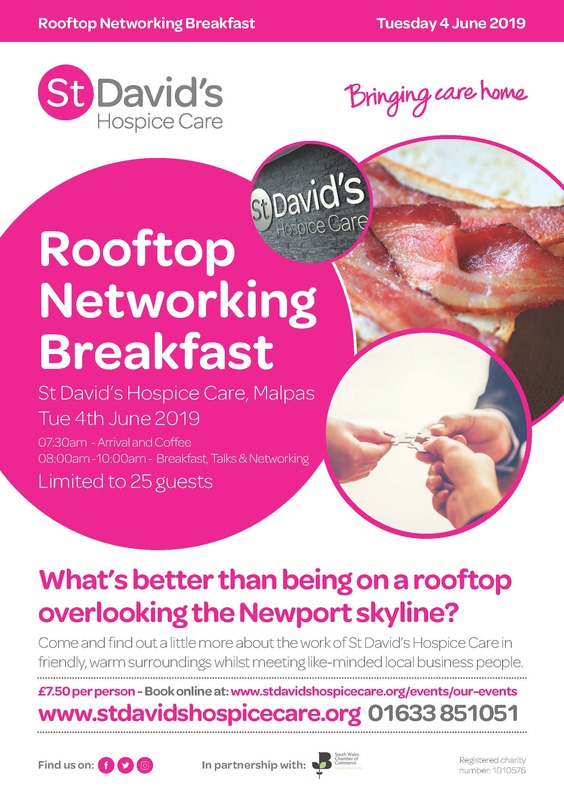 Come and find out a little more about the work of St David’s Hospice Care in friendly, warm surroundings whilst meeting like-minded local business people. Tickets are available at £7.50 per person with a limit of 25 guests. 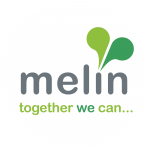 We also have 2 speaking slots available at 5 minutes each as well as sponsorship opportunities. To book tickets, a speaking slot, or to discuss sponsorship opportunities please call Beth Harrington on 01633 851051 or email beth.harrington@stdavidshospicecare.org.